High quality full grain real goat leather combined with real suede leather, kevlar and PU inserts for the knuckles. We used the best materials available to keep your hands protected even at high speed falls on rough roads. The gloves include 3 PP inserts for the palm, fingers and thumb to provide a confident slide on any surface. The slim construction of the gloves allows for free movements and a pleasant fit, including a breathable mesh lining to keep your hands fresh and dry. 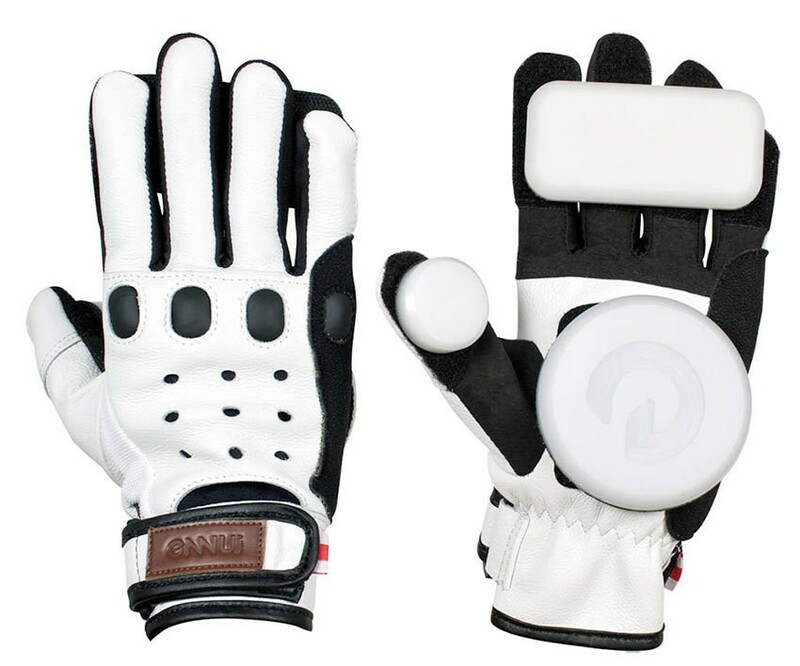 These gloves were tested by the best downhill riders and the feedback was beyond our expectations, no matter if you are learning to slide or you are a professional skater the Bombhill gloves won't disappoint you.